In the face of constant pressure from customers and competitors, PCB designers must make products in a timely manner. In an environment where pace is so fast, product planning and implementation are extremely important, and implementation problems must be actively addressed, but many companies often do not value or even ignore many of the steps in the planning phase. What is the key point in the planning phase? An important step in the planning phase is the design and validation, electronic and printed circuit board (PCB) computer simulation, which is an important part of design verification. IC vendors offer a variety of tools for simulation, and IC vendors have developed tools that can meet the needs of PCB designers to help customers achieve their goals, including analog circuits, digital circuits, and board design tools. How many design tools can be used? Some design tools can be used to model circuit configurations in difficult configurations, such as analog switching power supplies or analog filter designs, and provide important circuit performance specifications. 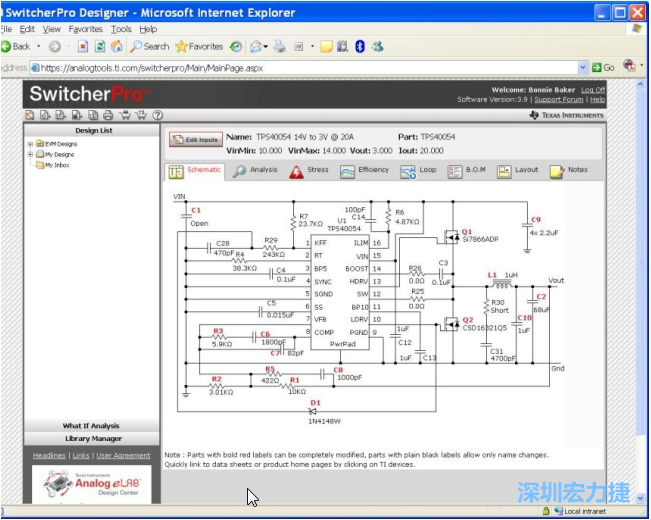 For example, Texas Instruments SwitcherPro's power supply design tool online version, or downloadable version can be used to build the required power supply circuit (Figure 1). Power supply design tools allow users to start building their own designs with the required specifications and appropriate IC part numbers. These tools also provide an overall analysis of the minimum and maximum performance of completed boards, as well as the effects of low-loss components, contacts. Upper temperature limit, circuit efficiency and circuit loop stability. Because PCB designers use experimental boards, most power supply design software provides bill of materials (BOM) and configuration recommendations. 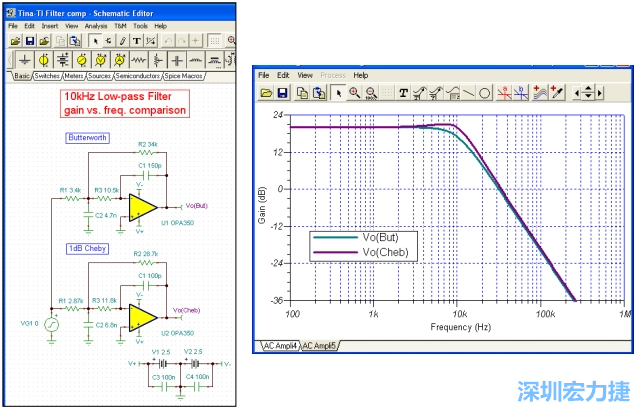 The analog filter design software also helps PCB designers to do the job. Some versions of this software can be found on the IC manufacturer's website. For example, TI provides the FilterPro analog filter design program, which can calculate complex filters. The work is handled by the computer. The filter design software suite can usually design some or all of the low pass, high pass, band pass, band stop (band stop/notch) and all pass (all pass) Filters, and can define filter specifications and response types. Once these variables are determined, the software can provide complete circuits, including auxiliary components. Once the design is created manually or through the design software, the SPICE simulator can be used for verification and adjustment. Texas Instruments' TINA-TITM (1) SPICE simulator helps design and evaluate the performance of multiple sub-circuits in the application (Figure 1). Figure 2 shows the need to find the difference between the two filter gains over the entire frequency. Analog Circuitry SPICE Macro Model Library, I/O Buffer Information Specification (IBIS) and Combined Scan Description Language (BSDL) models are available for digital simulation. Most IC manufacturers' websites offer all these types of models, and each has its own A calculation tool can be downloaded. In summary, PCB designers can use many tools to successfully complete design planning and build procedures. While the data provided by these tools does not exempt the experimental board stage, it can provide a truly viable and qualified solution that ultimately reduces the time-to-market. PCB Assembly: How to optimize the reflow profile?